"Lit Like Fire" von Dario Rodriguez & Mark Bale feat. Albeneir. After their tremendous success with their latest releases and after knowing each other for years, German lads Dario Rodriguez and Mark Bale finally decided to collaborate on a track. Dario's banger "Beat Back" with Mr. V reached almost 1.5M Spotify streams together in all versions and mixes and his astonishing mash-ups and bootlegs could be found in plenty DJ cases since years. He also officially remixed artists by the likes of Fedde Le Grand, Joachim Garraud and DBN. His remix for "Daylight" has been heard on countless festivals such as Tomorrowland, Ultra Music Festival, Coachella, EDC and lots more. 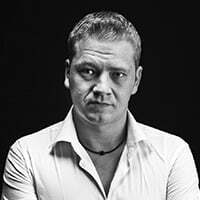 His partner in crime for this outstanding release DJ veteran Mark Bale comes from the Northside of Germany and has been played festivals and clubs like Papaya, Noa Beach Club Croatia, Bootshaus Cologne, Parookaville, Ferdinands Feld and many others. Now their new tune "Lit Like Fire" is ready to be the next "must play" tune and this outstanding release comes along remixes by POINT BLVNK, Calmani & Gray, Roger Horton and even more within the next weeks. "Lit Like Fire" is a super fresh summer song with new recorded unique vocals by Albeneir, a bunch of energy, an amazing break part and an epic drop with uplifting atmosphere which features catchy chords and dope vibes. "Lit Like Fire"by Dario Rodriguez and Mark Bale will keep you locked in from start to finish.